The New York Times bestsellernow in paper! 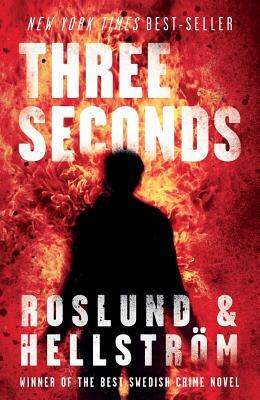 Dark, suspenseful, and more riveting than any thriller at the local cineplex, Three Seconds is the latest novel from bestselling Swedish duo Anders Roslund and Börge Hellström--the new masters of Scandinavian crime. Piet Hoffman, a top-secret operative for the Swedish police, faces his most dangerous assignment yet: after years spent infiltrating the Polish mafia, he's become a key player in their attempt to take over amphetamine distribution inside Sweden's prisons. To stop them from succeeding, he will have to go undercover, posing as a prisoner inside the country's most notorious jail. But when a botched drug deal involving Hoffman results in the death of another cop, the murder investigation is assigned to the brilliant but haunted Detective Inspector Ewert Grens--a man who never gives up until he's cracked the case. Grens's determination to find the killer not only threatens to expose Hoffman's true identity, it may reveal even bigger crimes at the heart of the Swedish justice system. And there are players who will do anything to stop Grens from discovering the truth.